DS8227 framed glass shower door seals – a clear star shaped framed glass replacement seal which slides into the bottom of shower door via the drip rail with no tools needed. pFOkUS shower door seals are manufactured from the highest quality materials. If you are unsure of the current seal pattern you have or the drip rail is corroded then replace the drip rail which will come with a new clear T- shape seal. 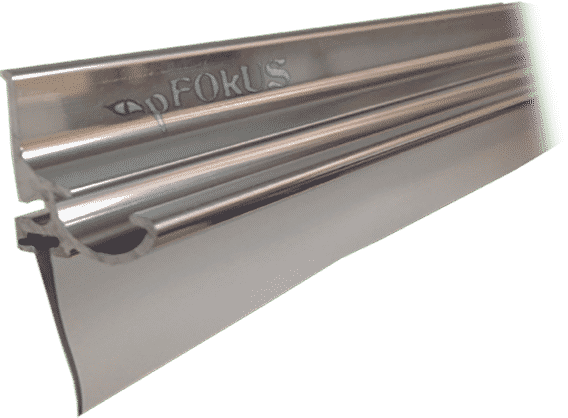 The pFOkUS drip rails are constructed of aluminum and installed with double sided tape which takes only minutes to install. Its time to remove all the etching and water spots off your shower glass. Imagine restoring your glass with no tools needed, just a little elbow grease. Before replacing your framed glass shower door seal, try our Benaz water dot and etching remover. Valore creates a hydrophilic surface causing the water to sheet off your shower glass. Valore will prepare the glass for the sealing molecules to attach to the surface. 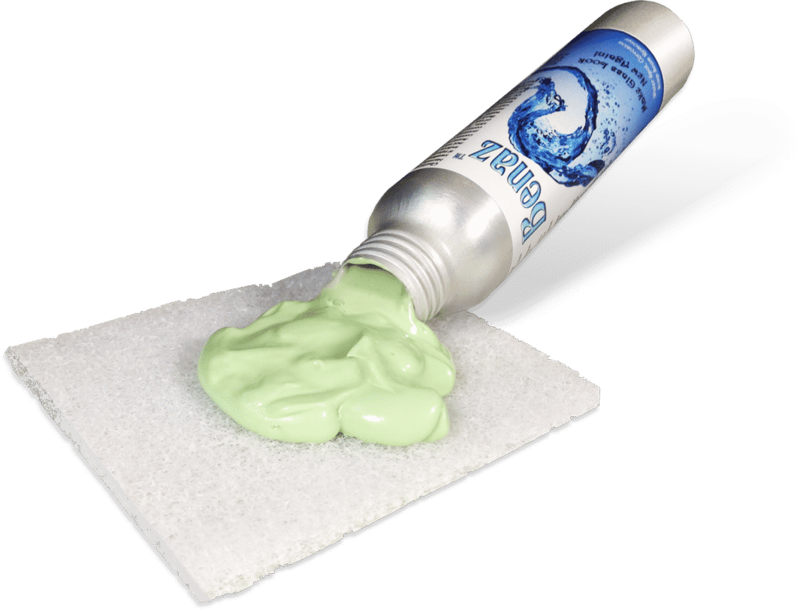 Simply spray Valore to the shower glass after Benaz treatment on old glass or for newer glass, just spray allow to set and wipe clean. Shower within minutes after application. Is DS8227 framed glass shower door seals the only star shape seal you carry? What color is the DS8227 glass shower door replacement seal? How do I trim the DS8227 seal to fit my drip rail? 5 years is usually the life span of all of our shower door replacement seals. Doors that are not correctly adjusted will cause the seal can tear or wear. 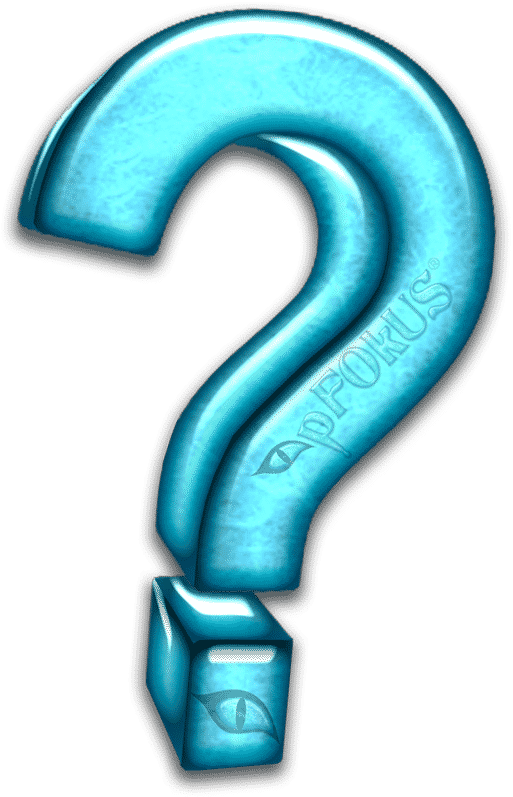 How do I remove my old seal?